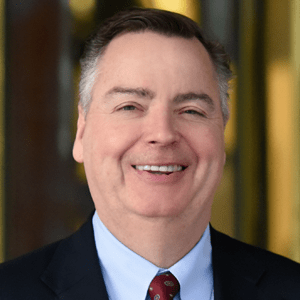 Berkery, Noyes & Co. advises Exeter Capital Partners on the sale of Facts on File to Veronis Suhler Stevenson - Berkery, Noyes & Co., LLC. 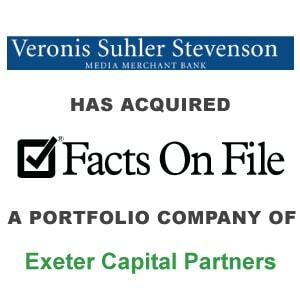 New York, April 15, 2005 — Berkery, Noyes & Co., LLC announced today that the firm represented Exeter Capital Partners on the sale of its portfolio company Facts on File (“FOF”) to Veronis Suhler Stevenson. Founded in 1940, FOF is recognized as one of the leading print and electronic publishers of general reference materials for the school and library markets. For over 60 years, FOF has garnered an unparalleled reputation for producing high-quality, award-winning encyclopedias, dictionaries, atlases, chronologies, almanacs, biographies and narratives. Its trademarked logo (box with checkmark) is one of the most recognized brand images in reference publishing today. Its product formats include single and multi-volume books, online databases, loose-leaf binders and CD-ROMs. Known as the “librarian’s librarian”, FOF enjoys a uniquely strong franchise in the school and library market by publishing core reference titles with great breadth and depth of coverage in curriculum-based subject areas such as the social sciences, the natural sciences, U.S. and world history, and language and literature. Berkery, Noyes specializes in investment banking for the information, publishing and communications industries. Among the most recent transactions completed by Berkery, Noyes are the acquisition by The Wicks Group of DesignWrite, Inc., the acquisition by HMP Communications, Inc. of Multimedia Healthcare Freedom, the acquisition by CMP/UBM of Cliggott Publishing and The Oncology Group, the acquisition by Discovery Communications of AIMS Multimedia, the acquisition by Hanley Wood, LLC of the Annual Trade Show of the National Roofing Contractors’ Association, the sale of the print-assets of Sheshunoff Information Services to Alex Information and Sheshunoff Insurance Solutions to Highline Data and Weaver Publications to Prospect Partners, LP. Berkery, Noyes’ clients include private companies seeking a buyer, and most of the major international information companies and private equity firms who use the firm’s expertise in locating, analyzing and negotiating with acquisition candidates and in managing divestitures. The firm operates with a staff of 26 professionals serving the information and publishing industry from offices in New York. For more information, visit www.berkerynoyes.com.